Life like black rubber rat prop. Great for theatre or Halloween decoration. 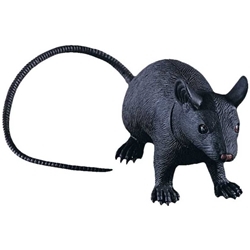 Jumbo Rat measures 8" long, 4" tall, and has a 14" tail.